Drill starts with F's at center ice with pucks and two D at each face-off dot as shown. 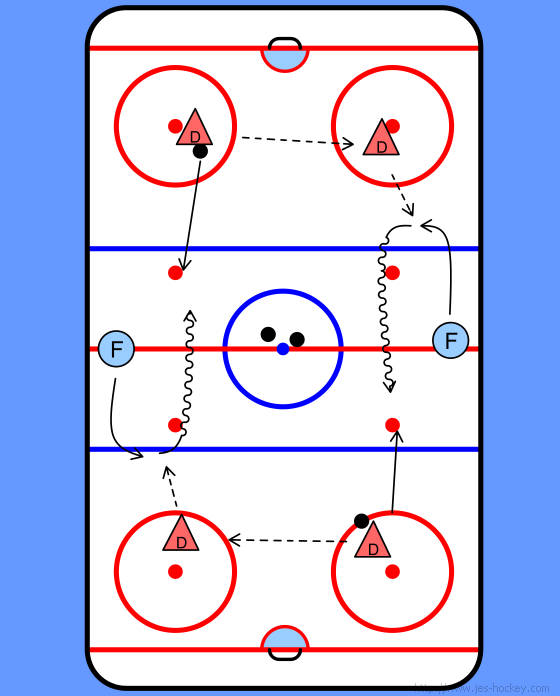 On whistle F will start skating toward D, D will start skating backward into zone. 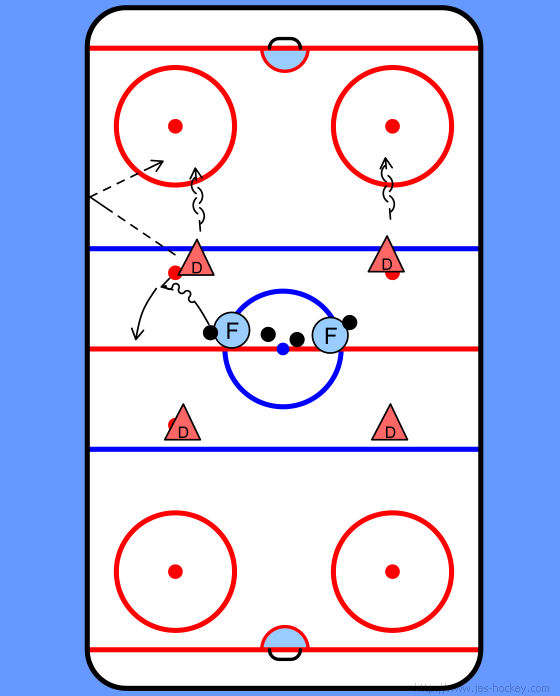 F will pass the puck off boards to D and then pivot, skating toward opposite end of the ice. D will pass puck side to side and then up to F.
F will pivot again and come back up ice to play a 1v1 with the D he made the first pass to. D who plays the 1v1 will be done, his partner will switch sides and a new player will step in.